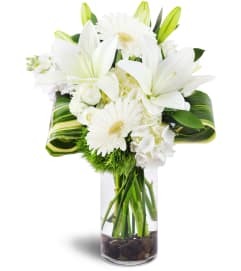 Send comfort during difficult times with this stunning, all-white tribute arrangement. Featuring stunning mix of white flowers, it's a soothing gesture of your love and compassion. 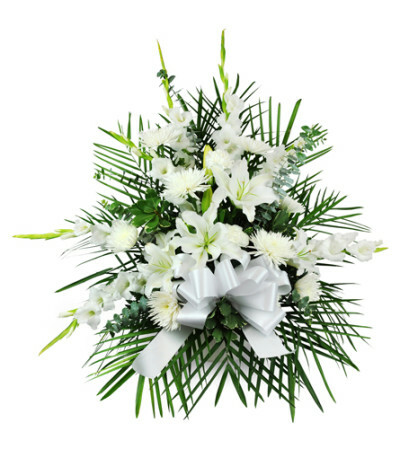 Lilies, mums, gladiolus, eucalyptus, and more are arranged in a tribute to be sent to the funeral home or service.